Donald Trump might not know it yet, but he should be worried about Stacy Long. Long, 47, a graphic designer from rural western Pennsylvania, is an avid death metal fan and unlikely threat to his administration. She dresses mostly in black and lives with her husband so deep in the woods of Grant Township, about 70 miles from Pittsburgh, they can’t see any neighbors. They call their house the Fishbowl because its giant windows offer sweeping views of their land, and it was the appeal of this rolling countryside, along with a determination to protect its people, that changed Long’s life. And emboldened her community and many others to fend off corporate polluters. In 2013, Long discovered that a drilling company sought to dump its wastewater into an abandoned gas well two and a half miles from her home. She and her mother, Judy Wanchisn, a 72-year-old retired school teacher who lives nearby in Grant, knew nothing about fracking waste. They had never protested anything. Their legal knowledge amounted to zilch. But the more they learned of Pennsylvania General Energy’s plan to pump millions of gallons of toxic solvents into the well, the more concerned they became that this wastewater might leach into Little Mahoning Creek, the source of Grant’s pristine drinking water. Could the company’s depository trigger a disaster like the one that hit Flint, Michigan? At first, no one paid the two women much mind. But three and a half years later, they continue to tie up PGE’s project in the courts. With the help of a crusading law firm, Long and Wanchisn have taken a novel approach to keeping the well out of their town ― by changing Grant’s charter to declare it an independent legal entity with the authority to define civil rights for its citizens, even when those rights conflict with state laws. They’ve contested PGE’s permit applications at every step, claimed their watershed should be recognized as having the same legal guarantees as a human being, and even helped legalize civil disobedience to safeguard those who take direct action to stop PGE’s well from coming online. 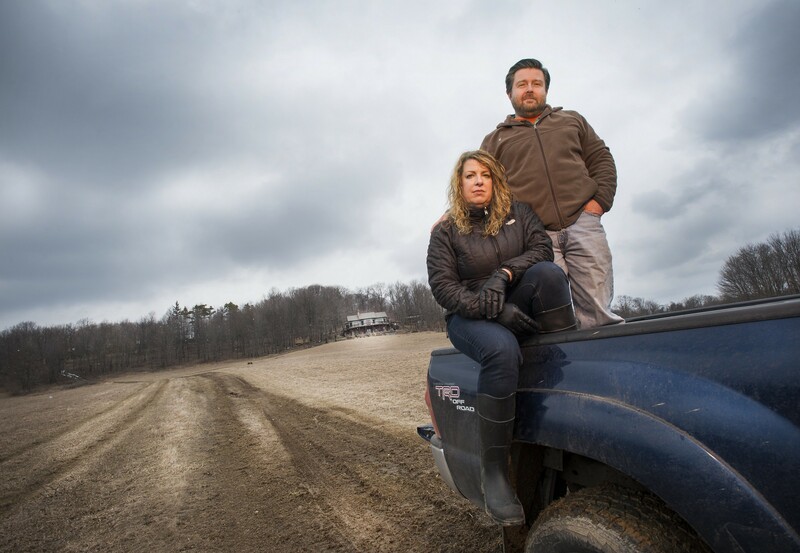 Long and Wanchisn’s crusade has inspired similar efforts in municipalities where fracking companies want to set up shop, creating a new a blueprint for resistance that dozens of other towns have embraced. It’s a movement that challenges the Trump administration’s support for traditional energy production and its rolling back of environmental protections to boost industry profits. The women never expected any of this. Their goal was always about defending their home town. Grant, less a town than a cluster of homesteads, has 700 inhabitants but no stores, gas stations or street lights. The late actor Jimmy Stewart grew up 20 miles away in the city of Indiana, where his parents ran a hardware store and embodied the qualities he portrayed on film: decency, earnestness and an inability to stomach injustice. The region adamantly opposed slavery and became a key stop-over in the underground railroad. A top tourist attraction is Smicksburg, an Amish settlement with 3,000 of the buggy-riding traditionalists. In her section of Grant, called East Run, Long prefers not to use addresses, referring to one property as “the old Miller place” and another as “Fred and Wilma’s trailer,” while noting that change comes slowly here. “There’s no evidence that this place has evolved much since 1936, when electricity came in,” she said. The Longs’ Fishbowl features a wraparound veranda ideal for viewing wildlife. The couple can watch red foxes and fisher cats, finches and purple martins, the air filled with musical cheeps of spring peepers, tiny tree frogs the size of your thumbnail. They entertain regularly, showing off their cocktail and culinary skills. “Guests come and spend the weekend because they all drive at least an hour or two,” Long said. It doesn’t hurt that their drinking water is some of the best in the state, rated “high-quality” by Pennsylvania’s Department of Environmental Protection. The source, Little Mahoning, is a jewel of the landscape and remains the thriving home to a variety of fish, freshwater mussels and the largest aquatic salamander in North America. The township repeatedly has voted against switching to a municipal system because residents see no reason not to rely on their own unspoiled creek. “It’s one of the very few in the state that wasn’t ruined by strip mining,” said Mark Long. Wanchisn first learned about the proposed wastewater injection well in October 2013, when a member of the local League of Women Voters called her about a public hearing at PGE’s request for a permit from the Environmental Protection Agency, which oversees wastewater injection under the Safe Drinking Water Act. The company was seeking to convert an old gas well on Grant resident John Yanity’s property into a deep depository for fracking brine. PGE had agreed to pay Yanity $20,000 for the rights to use his existing structure, which sits on a triangular piece of grass-covered land abutting the East Mahoning Baptist Church. The company offered Yanity an additional undisclosed amount for every 42-gallon barrel of wastewater it injected, projected to be 30,000 barrels each month. “They’d planned to have the hearing under the radar, but the league got wind of it,” said Wanchisn. Wanchisn began researching injection wells and interviewing experts on the subject. Dan Fisher, a geologist with the Wetstone Solutions environmental consulting firm in Freedom, Pennsylvania, agreed to work up a report on the seismology of the region, since fracking-related operations have been linked to spikes in earthquakes in some parts of the country. He found a fault line within a mile of the defunct well. She also dug through piles of research into wastewater, finding that it commonly includes a mix of chemicals ― benzene, ethylbenzene, toluene and xylene ― linked to leukemia, respiratory illness and diseases of the liver, kidney and reproductive organs. Wanchisn reached out to other Grant residents after the hearing. Many had heard nothing of PGE’s plans. Among those who had, some were fearful. “There are a number of people here who used to haul fracking wastewater,” she said. “And they were saying, ‘Oh my god, you don’t want that here.’” They pointed out that a convoy of trucks would rumble through Grant’s narrow roads 12 hours a day, starting at 7 a.m., seven days a week, bringing tanks of wastewater to the disposal site. But the agency rejected their appeal in April 2014, which left PGE with only one more hurdle: It needed a permit from the state’s Department of Environmental Protection to activate the well. Long and Wanchisn realized they needed help to make sure PGE didn’t get that last approval. 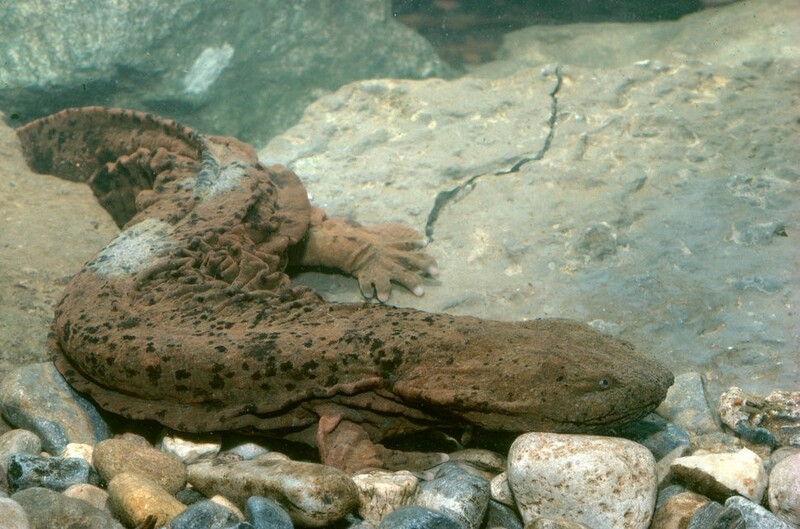 So they summoned their friends and neighbors to form an activist group, which they dubbed the East Run Hellbenders Society after the eastern hellbender, an orange-and-black salamander native to Little Mahoning that has been around for 65 million years. Because it breathes through its skin, the salamander would likely be the first casualty should the creek become contaminated. The Hellbenders then contacted the Community Environmental Legal Defense Fund, a nonprofit located just two hours away in Mercersburg with a reputation for battling oil and gas producers. Its founder, fiery former EPA researcher Thomas Linzey, put one of his top assistants on the case. The group said Grant’s best chance was passing a local law, an ordinance known as a community bill of rights, to make it illegal to dump wastewater in Grant. Theirs would not be the first ― Pittsburgh famously barred waste injection in 2010 ― but Long and Wanchisn planned to add additional measures to their bill that would also nullify any disposal permits that had already been awarded. A key provision enumerated new rights both for the people and the environment. “All residents of Grant Township, along with natural communities and ecosystems within the Township, possess the right to clean air, water, and soil, which shall include the right to be free from activities which may pose potential risks to clean air, water, and soil within the Township, including the depositing of waste from oil and gas extraction,” the bill of rights stated. They presented the proposed ordinance to the town’s three-person board of supervisors on June 3, 2014. PGE had apparently gotten word of the Hellbenders’ plans and sent an employee to the meeting as well, who warned that there would be legal action if the town adopted the proposal. But Grant’s leaders weren’t swayed, and unanimously approved the ordinance. Two months later, PGE made good on its threat, filing a lawsuit against the township in federal court. 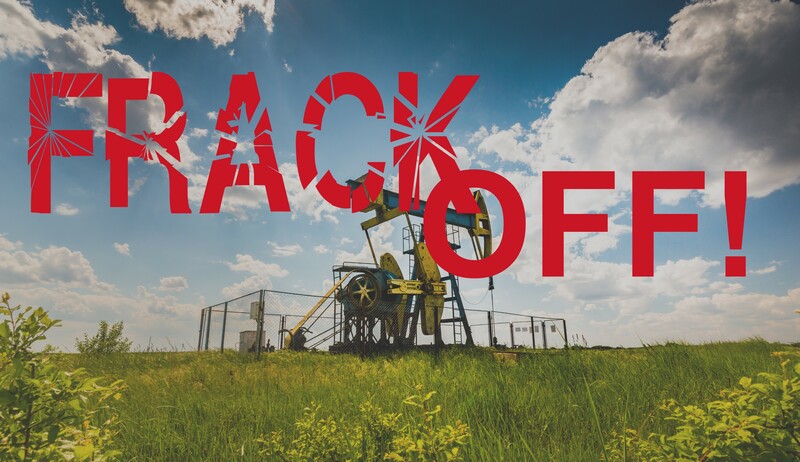 Hydraulic fracturing, which was invented in the 1860s, works by firing a highly pressurized stream of water, chemicals and sand into shale and other types of rock to crack it open and free the natural gas trapped inside. The wastewater then gets pumped back to the surface, picking up contaminants like lead, minerals and radium, which is radioactive, as well as petroleum chemicals from drilling machinery. An average well churns through 4.5 million gallons of this brackish broth ― enough to fill seven Olympic-sized swimming pools ― in the two weeks it typically takes to withdraw all the natural gas from a drilling site. Up until the 1980s, untreated fracking wastewater was routinely discarded into public waterways, but concerns about the safety of that practice led the EPA to assume authority to permit, inspect and enforce operations in accordance with amendments to the Clean Water Act. But some states allow treated wastewater to be used in ways that alarm health advocates. For example, Pennsylvania and New York spread brine on wintry roads as a de-icer. In drought-stricken California, farmers have watered crops with it. Municipal sewage treatment plants aren’t set up to handle fracking wastewater, which prompted the EPA to bar oil and gas companies last year from sending their waste there. And custom treatment facilities are expensive and still don’t sufficiently clean the water, according to Environment America and other watchdog groups. In 2013, a Duke University team found elevated levels of radium, chloride and bromide in the Blacklick Creek of Indiana County, downstream from a treatment plant that discharged brine into its waters. Injection wells make sense on some level. Many of the potentially hazardous elements of wastewater come from the soil anyway, industry proponents argue. And drillers employ steel-lined concrete pipes to inject the water, a system meant to prevent brine from seeping into porous rock as it travels thousands of feet below groundwater aquifers, where it’s supposed to remain in perpetual quarantine. But well records and state and federal documents show that leaks, broken pipes and spills plague this process and can contaminate groundwater. Between 2007 and 2010, state environmental agencies cited one in six disposal wells for “integrity violations,” according to ProPublica, with a total of 17,000 such violations nationwide. For years, the EPA refused to acknowledge that injection wells could pose a public health threat. Then, last December, the agency released a much-anticipated final report that found that the fracking process does, in fact, pollute groundwater. “We found scientific evidence of impacts to drinking water resources at each stage of the hydraulic fracturing water cycle,” said Tom Burke, who was the deputy assistant administrator of the EPA’s office of research and development at the time. Industry lobbyists, however, denounced the EPA’s findings, claiming that reports of contamination were exaggerated and that injection disposal was largely safe. The growing controversy over wastewater only added to Long and Wanchisn’s determination to keep the injection well out of their town, while also fueling PGE’s desire to secure the permits and get it up and running as quickly as possible. The company’s argument relied on court precedent establishing that corporations are entitled to the same legal protections as individuals — such as in the 2010 Citizens United ruling. PGE’s lawyers asked federal magistrate Judge Susan Paradise Baxter of the U.S. District Court for the Western District of Pennsylvania to invalidate Grant’s ordinance and order the township to pay damages and cover PGE’s legal bills, an estimated $1 million. The company’s insistence on its constitutional right to inject fracking wastewater gave the Grant activists an idea. If the court could grant companies civil rights, why not ecosystems as well? In a hastily arranged conference call in October 2014, Linzey suggested that maybe they should try to intervene on behalf of the Mahoning watershed ― and offered to represent the creek as a person with a vested interest in the dispute. It was a daring legal gambit, one that asked courts to consider the “rights of nature” as on par with those of humans and corporations. Even most mainstream environmentalists saw it as a tough case to make, though Linzey’s group and others have used similar arguments successfully in Ecuador and India. 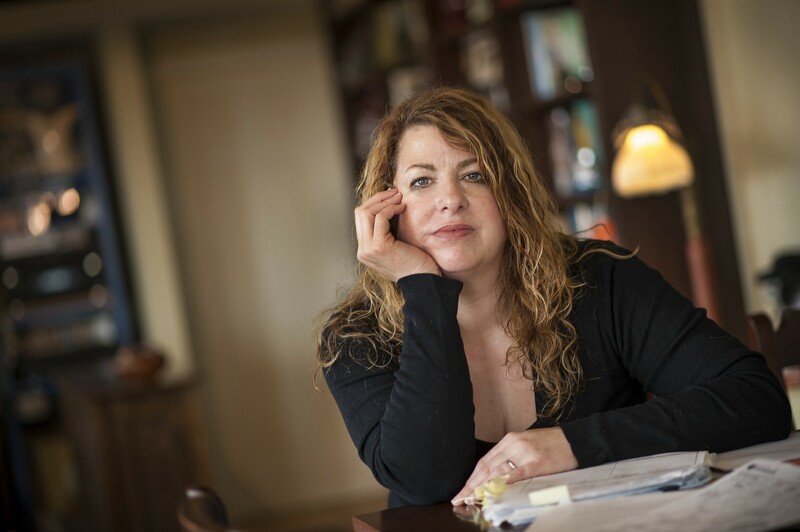 What he didn’t know was whether this position would work in the U.S.
Wanchisn took the conference call in a Pittsburgh hospital room, where her husband Paul had just learned he needed quintuple bypass surgery. Linzey’s enthusiasm tempered the family’s health worries. She and her daughter loved the idea. “My initial concern was for the watershed, anyway,” said Wanchisn. In October 2014, however, the DEP quietly approved PGE’s permit to convert the well, giving the company everything it needed to proceed. Wanchisn and Long fought back. They asked the DEP to investigate whether the PGE permit conformed to guidelines for deep-injection wells as outlined in the state’s Clean Streams Law. Six months later, the DEP revoked the permit, admitting it had not looked into this issue and needed time to do a review. No one could recall the department ever having canceled a permit previously. Linzey said it was likely because the state had elected a new governor, Democrat Tom Wolf, that November, and he’d taken a tougher stance on drilling activities during the campaign than his predecessor. The change brought PGE’s plans to a halt once again. At that point, the company tried a new tactic: winning over the people. The firm, working with the DEP, arranged for a fresh public hearing, where they hoped to calm the locals and get their project back on track. Wanchisn and Long saw this as a new opportunity to drum up public outrage. There was a packed house at the East Run Sportsman Club for the June 1, 2015 hearing. Residents filled rows of metal folding chairs, facing a row of representatives from PGE and the DEP. The company executives began the meeting by explaining how they would build the well and emphasizing how unlikely they thought it was that leaks or groundwater contamination would result. The room was tense. Mark Long, seated in the back of the club, noticed several armed security men ― out-of-towners whom he figured PGE had hired. “I think they were afraid of physical violence,” he said. “What’s in this fracking water?” asked one older man bluntly. A PGE representative assured him that issue was covered by the EPA permit. Others wanted to know about PGE’s record, after finding out the company had been fined $120,500 for violations in 2014 ― more than all but eight other oil and gas companies in Pennsylvania. The less information residents got, the louder the rumble of unrest grew. Bill Woodcock, the friend and neighbor to the Longs, inquired about chemicals in the wastewater, mentioning hydrochloric acid, which has been found in fracking waste samples in other states. “Corrosive to flesh,” he announced. Woodcock named another potential contaminant, methanol: “Highly toxic, poisonous to the central nervous system.” The PGE reps remained stone-faced. They looked at one another or the floor. “I can tell you that we have 10 professionals reviewing this,” one finally replied. “I want a yes or a no,” Kenner insisted, marching to the front of the room to stand directly in front of the PGE representatives. “I may be a redneck, but I want to hear from each of you.” They declined. Meanwhile, PGE’s lawsuit against the township was slogging along, delayed by vacancies on the federal bench in the district and several reassignments of the case. Baxter finally reached a decision in October 2015, in favor of PGE. The judge struck down Grant’s ban on extraction waste and rejected Little Mahoning and the Hellbenders as parties to the suit, ruling that their interests were already represented by Grant’s municipal government. Baxter made no statement about whether the watershed could be considered a person. “She punted on that question,” said Linzey. That was good news for Grant, as was the judge’s decision not to award damages or legal fees to PGE ― though her finding that the township had overstepped its authority meant the fracking firm could pursue a monetary judgment later. CELDF quickly filed an appeal. Fortunately for the Hellbenders, they had another plan to stop the well. If there’s one distinguishing aspect of the law in Pennsylvania, it’s a provision set forth by its founding father, William Penn, who in creating a state government worried it might intrude on the rights of small towns. So in 1681, Penn authored a decree that allowed any municipality to establish “home rule” ― to in essence govern itself ― if a majority of residents voted in favor of it. By doing so, a town was entitled to pass any local laws it wanted, so long as they didn’t allow activities specifically prohibited by the state. The state didn’t get around to actually codifying Penn’s proposal until the early 20th century, when lawmakers passed a series of new measures, the latest coming in 1972. That law came with a caveat: Pennsylvania reserved the right to overrule a municipality if it believed a local law unfairly impinged on state interests. Even so, that was Grant’s lifeline. It would not be the first city or town to adopt home rule ― 70 others in Pennsylvania had already done so, including Philadelphia. 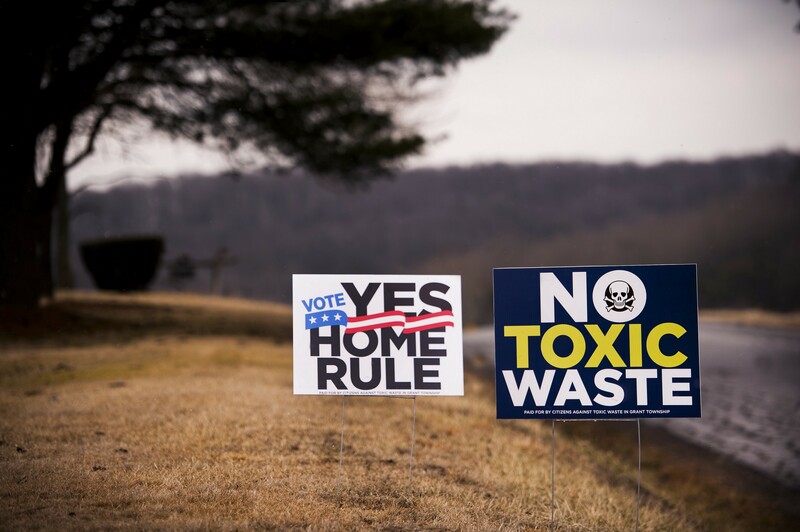 But Wanchisn and Long set out to create a new town charter that would not only give Grant broad power to legislate, it would include the wastewater ban and rights to clean air and water they’d outlined in the ordinance that Baxter had struck down. “They basically told this federal judge, ‘Screw you,’” said Linzey. As a practical matter, their proposed change would challenge the DEP’s authority over well permits in Grant and render Baxter’s ruling moot, since PGE had filed its lawsuit against a township with standing only as an ordinary municipality. Even so, there was uncertainty as to whether Grant’s residents would go for it. Wanchisn and Long knew home rule had a downside: an escalation of the conflict with PGE, one of the county’s bigger employers, at a cost some feared could bankrupt the township. But they got their measure on the ballot for Nov. 3, 2015, and began lobbying residents for support. The two women arrived at Grant’s polling place early on Election Day, setting up a welcome gazebo a permissible distance away to greet a steady flow of voters and ask them to check the home-rule box on their ballot. “They’re going to inject the waste right between two tributaries,” Wanchisn told one resident, tapping on a homemade posterboard map of Grant with a red dot for every natural gas well in its 27 square miles ― a total of more than 400 wells ― along with a pink circle marking the proposed well site. The reaction presumably was more somber a four-hour drive north in Warren, where Pennsylvania General Energy Company LLC is headquartered and Douglas E. Kuntz has been president and CEO since 2006. Under Kuntz’s tenure, the company has expanded rapidly, while racking up an impressive array of environmental violations. Kuntz rarely appears in public or issues statements, but he’s a member of five oil and gas associations in Pennsylvania and New York, and his company has forged joint-operation deals with Exxon and a subsidiary of Standard Oil. Kuntz aligned himself with former Pennsylvania governor Thomas Corbett, giving donations to Corbett’s successful 2008 campaign, though the exact amount is not listed in electoral records. Nicknamed “Toxic Tom” by his opponents, Corbett lost his re-election bid in 2014, in part because he accepted millions in questionable payments from energy concerns. During the years that he was in office, PGE rose to №16 among the 80 natural gas drillers in Pennsylvania, according to state DEP records. Kuntz’s biggest move was to develop aggressively across the Appalachian Basin, drilling half a dozen oil and gas wells in the Allegheny National Forest near a popular trout-fishing stream called Salmon Creek, and later in the Susquehannock State Forest’s pristine-quality Triple Divide Headwaters. That’s where PGE was cited for burying waste under a water source, illegally digging a fracking-waste pond, and spilling toxic contaminants. From 2011 to 2014, the company would garner 80 more environmental and health violations. The most high-profile offense occurred in 2011, when the firm was fined $28,000 for illegally discharging 2-BE, the same drilling compound blamed for the adrenal cancer of a young mother, Laura Amos, in Colorado. The substance leaked from a PGE well pad into Lycoming County’s Pine Creek Gorge, creating a chemical foam in a mountain stream. The company eventually negotiated the penalty down to $25,000. The conflict between man and nature is in evidence at Kuntz’s home in Bradford, where he lives with his daughter Heather and son Derrick and indulges his boyhood hobby of model trains. Being a well-compensated energy executive, Kuntz can afford the real thing: an antique 12-ton Shay steam locomotive he bought in 2003 and had restored. He tootles around on his 33-acre spread, manning the conductor’s car. The №12, as it’s known, is a handsome relic that once hauled timber along the Foster Brook and State line in 1920, and occasionally Kuntz takes friends and family on jaunts, chugging up a forested hillside along his half-mile stretch of two-foot-gauge rail. The CEO treats his train with exacting care, giving the steam engine’s boiler plenty of time to heat up before heading out. “My friends . . . taught me to place a space heater in the firebox 24 hours prior to running, which pre-warms the boiler nice and slow,” he told Trains magazine in a rare interview. A YouTube video shot by a fellow “railfan” shows Kuntz, clad in a striped engineer’s cap, waving and tooting the horn as he ferries guests through the woods. One can see the party roll past a sign, “No trespassing on tracks or property,” and watch the №12 spew thick fumes into the trees. In the year and a half since Grant’s residents approved home rule, the town and PGE have continued to spar in court. Most of the news has not been good for the township and the Hellbenders. A panel of the U.S. Court of Appeals for the Third Circuit upheld Baxter’s decision last summer, siding with her ruling that Grant’s ordinance violated PGE’s civil rights and that the township’s watershed and activists shouldn’t be allowed to join as parties in the case, because their interests were adequately represented. Meanwhile, the DEP re-approved PGE’s permit last month, though it required seismic-reading monitors to be installed to make sure the new well doesn’t cause earthquakes. The DEP also filed its own lawsuit against Grant and another township ― Highland, which had instituted home rule in order to ban injection disposal ― arguing that the state governs fracking waste operations under Pennsylvania’s Oil and Gas Act, not these towns. The suit challenges the idea that home rule can be used to block oil and gas operations. The DEP more or less agreed with that assessment. PGE also asked Baxter to review its damage claims again, and in a March 31 ruling, the judge found PGE was entitled to compensation. Just how much they might get is yet to be decided; a jury trial on that subject awaits. If they lose that case, Long says Grant likely can’t afford to pay. “We’re broke,” she said. A PGE spokeswoman declined to comment on these cases or to make company officials available to be interviewed for this story. “It’s our company policy not to release information with regard to current projects that are in litigation,” said Karen Thomas, vice president of human resources. But the Grant matter has clearly struck a nerve. Though PGE could start work on the Yanity well any time, Long and Wanchisn aren’t out of options. If construction were to begin, the company would be in violation of Grant’s new charter, and to date, no court has ruled against their home-rule declaration. Linzey is encouraged that Baxter, despite ruling against Grant, twice issued opinions saying that the state’s Oil and Gas Act does not trump the township’s laws. Grant residents, meanwhile, are ready to resist. Last May, the local board of supervisors, which by then included Long, voted to make civil disobedience legal in the town ― a first-of-its-kind law allowing residents to defend the town’s new charter with any “direct action,” as long as it’s not violent. But their fight has transcended Grant. This conflict between the rights of a corporation that wants an injection well and a town that seeks to define for itself the rights of its citizens could have lasting implications for other communities facing fracking or wastewater projects. Whatever new court decisions might come, Long and Wanchisn say they’re not backing down. They recently joined a group of Grant residents in marching onto Yanity’s property to place flowers in his well ― before he called the cops and they agreed to leave.